Stock # 11455, 3.5L V6 EFI DOHC 24V, 8-Speed Automatic, 15 mi. 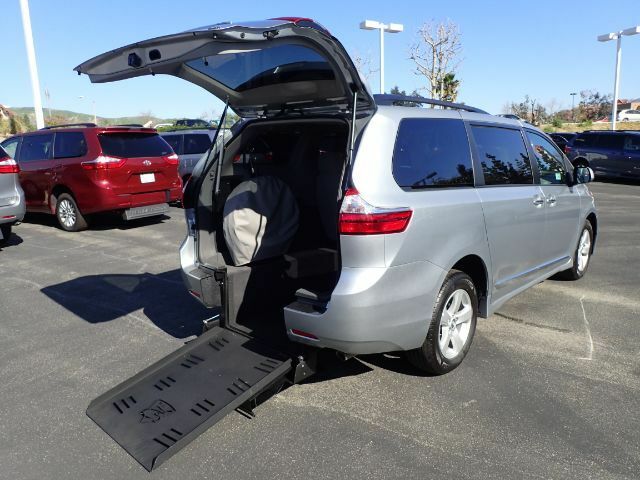 No frills, just quality, affordable handicap accessible transportation on this 2019 Toyota Sienna Kneelvan LE. Converted by Freedom Motors (FMI) with an automatic 30" rear ramp. Only 15 miles on this silver stallion with soft cloth cream seats. With room for five including chair rider, this family vehicle has enough legroom for all.